This 24 gallon plastic trash can is made of rigid commercial grade plastic for long term durability. Includes a 24 gallon polyethylene liner, 4-way open lid, retainer ring, security cable and leveling bolts. 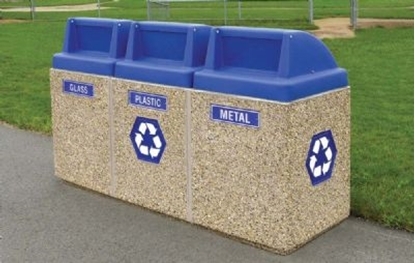 Our commercial plastic trash cans are found at schools, parks, and pool communities lasting for years. 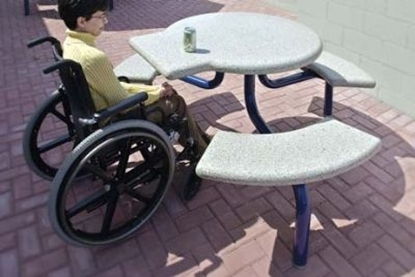 ADA Wheelchair Access Concrete Round Picnic Table with Powder Coated 2″ Metal Tube Frame, Portable, 850 lbs. 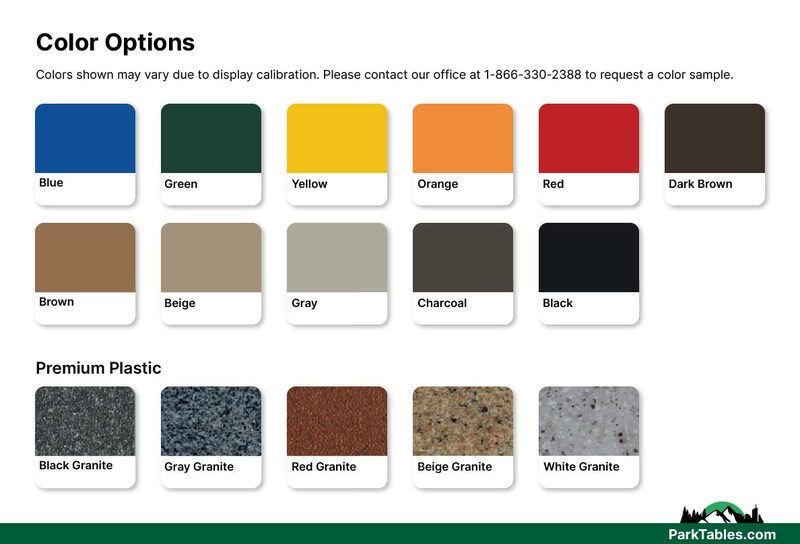 66″ Round Concrete Picnic Table, Concrete Top, Powder Coated 2" Steel Tube Frame, Portable, 800 lbs.